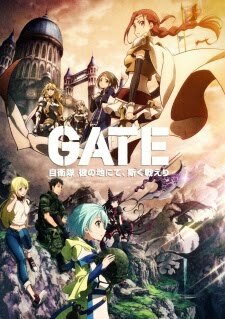 Gate: Jieitai Kanochi nite, Kaku Tatakaeri (2015) | Zefu Archives! Synonyms : Gate: Thus the JSDF Fought There! Producers : A-1 Pictures, Genco, Sentai Filmworks, Warner Bros.